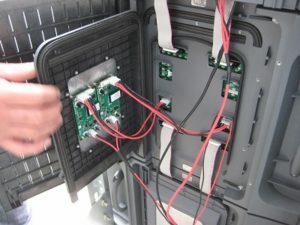 This picture shows the technical side of one of our most simple scoreboard installations. It still has to have an advanced control system. 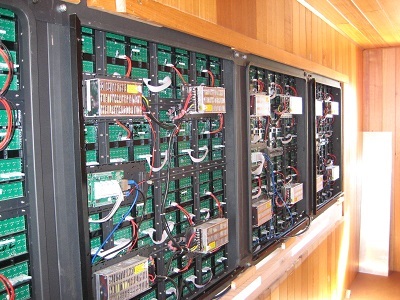 It is installed at the Wynyard Football club in Tasmania. 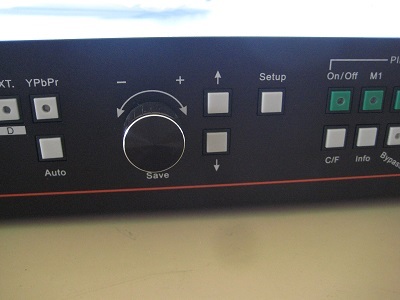 In many instances Tecnovision has to supply a Video Processor to handle and switch between a number of inputs. 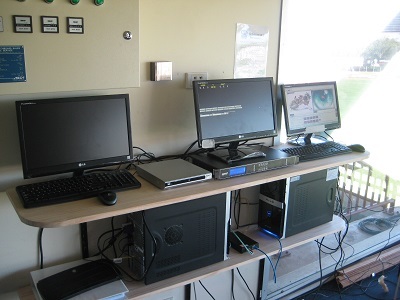 We use only the top end processors from the suppliers to the professional staging and broadcast companies. Many installations can’t be hard wired and have to use a wireless solution. Tecnovision has settled on TP-Link solutions. 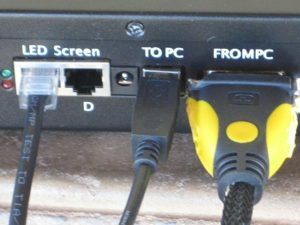 TP-Link wireless systems are without equal. They perform brilliantly and are certainly not the cheapest. 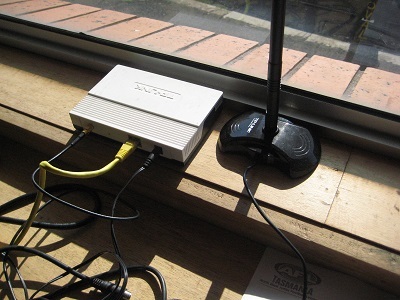 The TIO Stadium project insisted on a Top-End wireless solution. Tecnovision had to network 3 computers plus control them wirelessly from a handheld tablet. The picture to the left shows the 3 computers at TIO Stadium. Computer #1 handled the scoring. Computer #2 handled the advertising. Computer #3 controlled the Screen System for parameters such as Brightness. 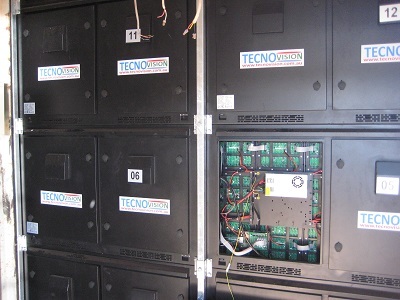 a Tecnovision system can easily be installed on game day. 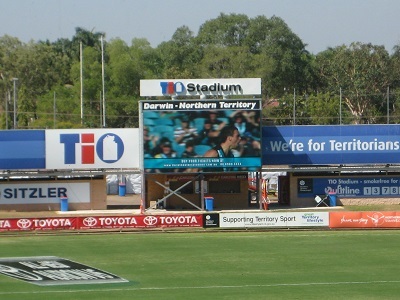 The picture to the left is the back of the TIO Darwin Scoreboard and Video Screen. It comprises 42 cabinets and each cabinet has its own control logic to ensure the system knows where each cabinet is and what part of the picture it should be displaying. Today’s ‘state of the art’ LED Cabinets have embedded control systems which have miniaturised the technology. Tecnovision has worked with a leading Chinese manufacturer to ensure the systems coming to Australia are in fact the best available to anyone. The scoreboard operator at TIO Stadium in Darwin sits across the oval and can see instantly the changes made to the picture displayed. The use of Fibre Optic at this site ensures the best of Video presentation and quality.